Calligraphy Quote Cards are now 20% off! 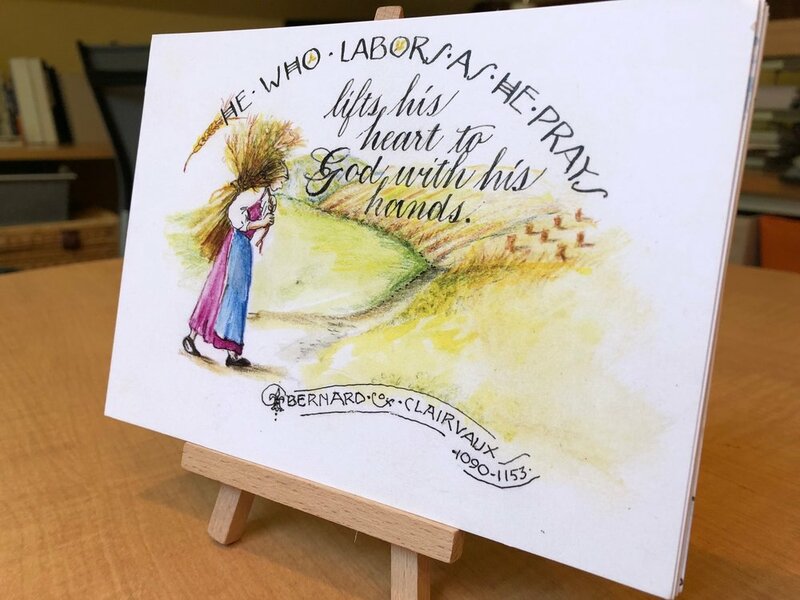 My friend Ginger Oaks has created a series of calligraphy art cards featuring favorite quotes from Christian figures Vintage Saints and Sinners: 25 Christians Who Transformed My Faith. The set of 14 5x7 cards comes with a wooden display easel, wrapped and ready to give! Normally $24/set, the Calligraphy Quote Cards are now on sale for 20% off: $20.00 plus shipping. To order your cards, email Beth Wright at beth@theologicalhorizons.org. 14 Calligraphy Quote cards come with a wooden easel, wrapped for gift giving! Newer Post25 Free Small Group Studies: Readings and Leader Guides!